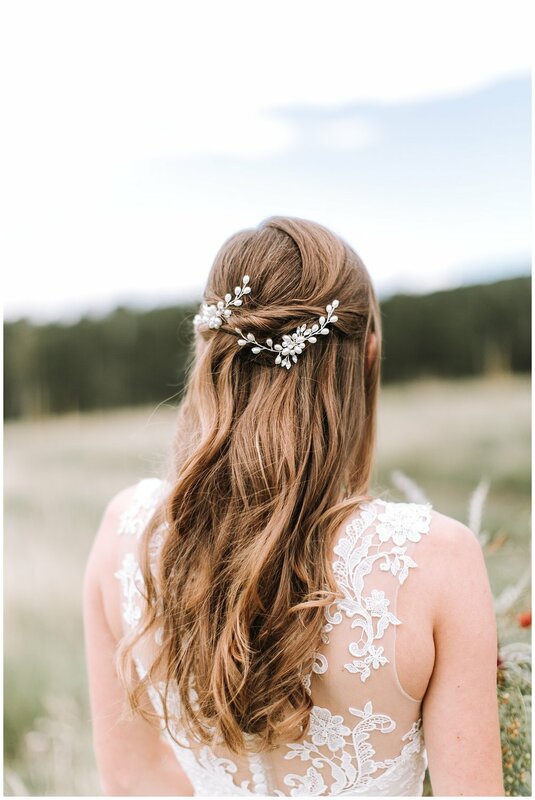 This styled shoot was set in the beautiful city of Flagstaff. 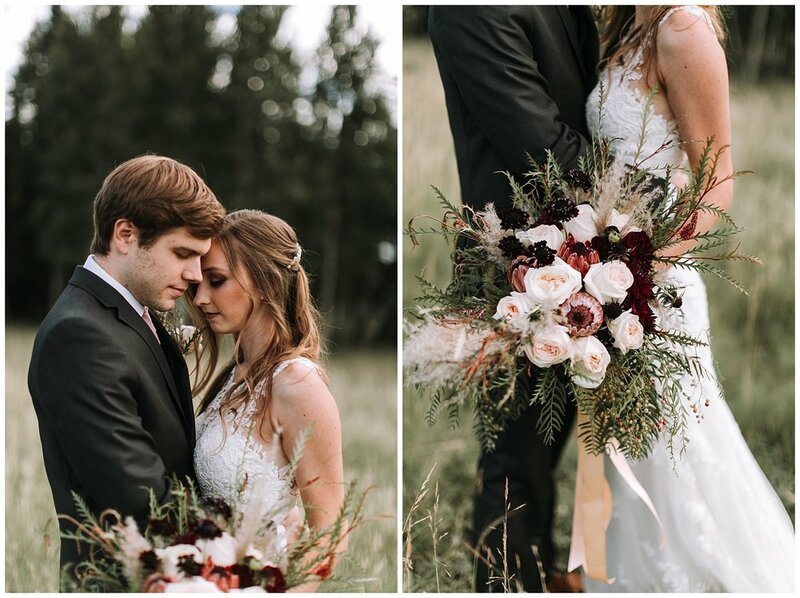 Filled with trees, mountains, and greenery - this location was absolutely perfect for my vision of a later summer rose inspired styled wedding shoot. My models, Bethany and Tyler, actually just got married a few months ago and Bethany loved putting on her wedding dress another time. We had an amazing team of vendors to make this vision come true!